We advise all our hair to not be dyed/silver shampooed due to the hair already being processed to the shade selected although it may be done by the customers’ discretion, by first doing a test strand, to maintain the quality of the hair. Any hair that has been taken out of its secured band will not be refunded/exchanged due to hygiene. 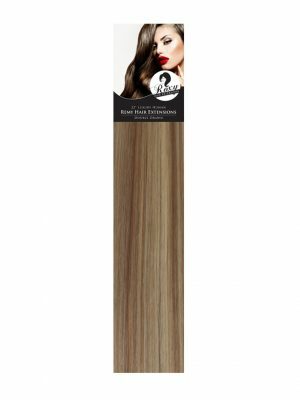 Roxy Hair Extensions will not be held responsible for any loss of earnings. We will not refund/exchange any hair that has been chemically processed by the customer, or if the correct Aftercare products have not been used. If our Aftercare products have not been purchased with your order of hair, all refunds are void. This is to prove the client has not been using harsh/unsuitable products on the hair. After 6 weeks of hair being purchased no refunds can be given as it is the buyers/clients responsibility on how to care for the hair. Any hair that may be faulty, at our decision, can be refunded if within the 6 weeks of being purchased and the hair has not been chemically processed by the client or been abroad. No refunds are available on Sale items. Hair that would like to be refunded due to being faulty should be sent recorded back to us to be inspected, only then will we decide if this is necessary, otherwise the hair will be sent back recorded and no refund will be given. For hair to be exchanged for a different colour is acceptable as long as it is sent back recorded, and still in its original packaging. We recommend using our colour rings to avoid colour match issues, or a sample of hair sent to us to colour match personally. Before washing, brush gently, supporting the bonds starting from the bottom up towards the roots. Never wash the hair over the bath, but always upright i.e. in the shower or sink basin making sure hair never tangles as it sits near plug hole. Shampoo gently using fingertips to massage in Roxy’s Shampoo, letting the product run through the hair, followed by using Roxy’s Conditioner at the mid lengths to the ends of the hair. Never rub the hair dry with a towel but softly pat the hair downwards so remove excess water. 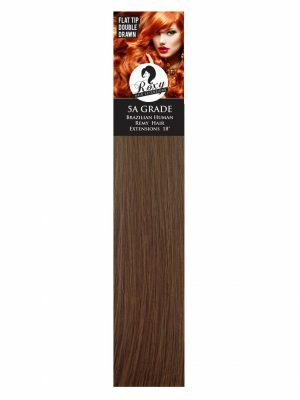 Never leave the bonds/hair to air dry as this may cause matting within the hair or bonds that have grown out. Use heat defense or Argan Oil on damp hair before you dry. On a warm setting, blow dry the hair in the downwards position making the cuticles of the hair lay flat. Dry the hair in sections using a soft bristle brush or wide tooth comb to smooth the hair as you dry. Heated rollers or straighteners can be used to smooth and style the hair. Always sleep with hair in a braid or loose bun, careful to not cause tension on the natural hair if pulled back/up. Always protect the hair when using sunbeds by wrapping in a towel as this may dry out the hair or cause colour to fade. Avoid getting the hair wet in swimming pools and sea due to the chlorine and salt water drying out the hair. If this cannot be avoided, always wet the hair first using a shower and then comb through conditioner before getting in swimming pool/sea.